Boiling one day, buckets of rain the next! Australia is certainly experiencing a crazy summer – boiling summer heat one day, buckets of rain the next! (As you can see here today outside on-location at the Erina Fair Shopping Centre) During this time with these hot & clammy conditions we can really feel the humidity in our homes. Do some serious structural drying: set the humidistat at 30% for ‘deep-down drying’ – run the Dehumidifier long enough to get those humidity levels really low! AND don’t forget to keep your air filter clean too – it’s easy, just vacuum or run under water. Survive this crazy summer, feel better & get a better night’s sleep; dry out your entire home now. There has never been a better time! 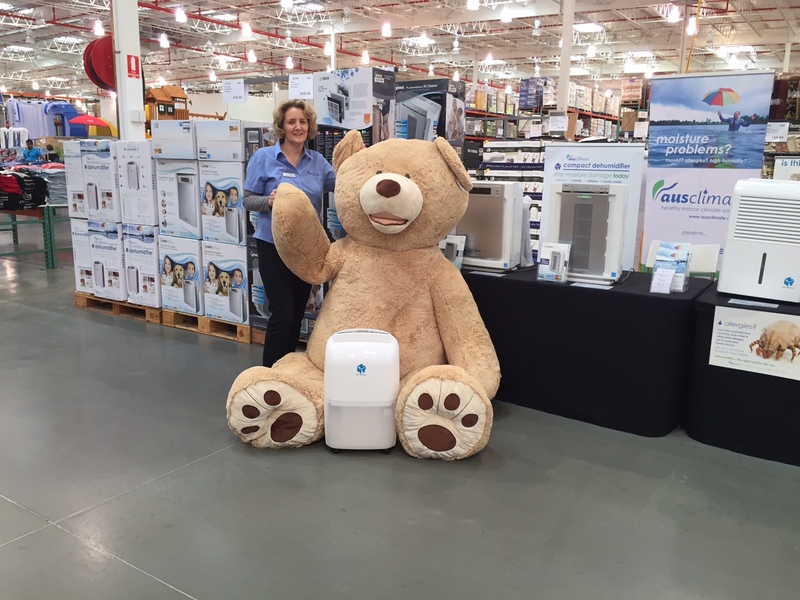 We’ll be at Erina till next Sunday with our full range of Dehumidifiers & Air-Purifiers. Come by & say hello! Categories: info articles, news, tips | Tags: ausclimate dehumidifier, dehumidifier, dehumidifier australia, dehumidifier brisbane, dehumidifier nsw, dehumidifier qld, dehumidifier sydney, Moisture Problems | Permalink. Another fun day for myself & Joanne (pictured) at Costco, so make sure to come and check us out during our final days at the Costco North Lakes store in Brisbane. Allan & Chris are also having a great time down at the Melbourne Home Show, Australia’s biggest Home Show. The crowds sure have been just amazing! The action doesn’t stop there as we still have quite the travel-schedule ahead. P.S – Our newly available Winix Air-Purifier range will be available at all of these locations. 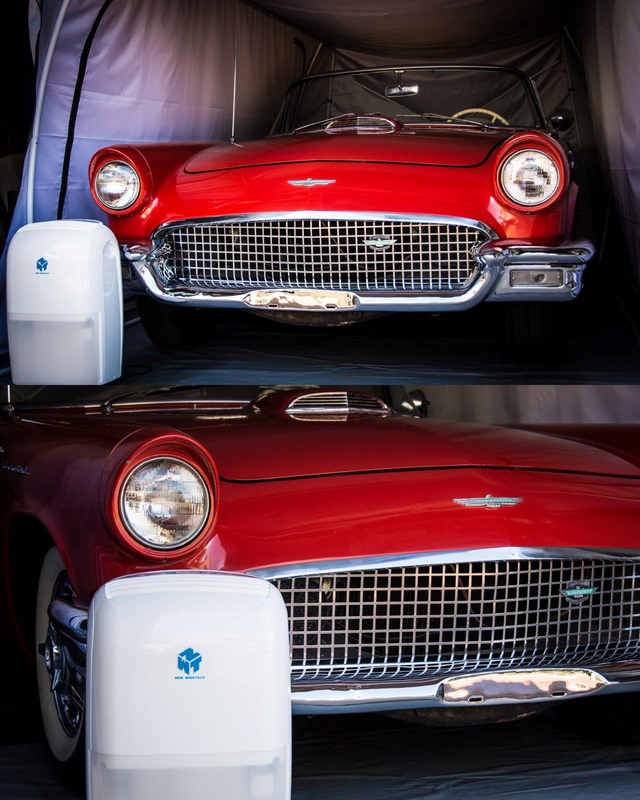 We’d love to field any Purifier questions you might have both in-person or over-the phone. We’ll have more details about this very exciting new range right here in the coming days! Categories: news | Tags: ausclimate dehumidifier, ausclimate purifier, costco dehumidifier, dehumidifier air purifier, dehumidifier australia, dehumidifier brisbane, dehumidifier melbourne, dehumidifier nsw, dehumidifier sydney | Permalink. Manufacturer NWT, world leaders in research and development and Ausclimate have teamed up again to introduce two exciting new models with the latest advanced technology in dehumidification. 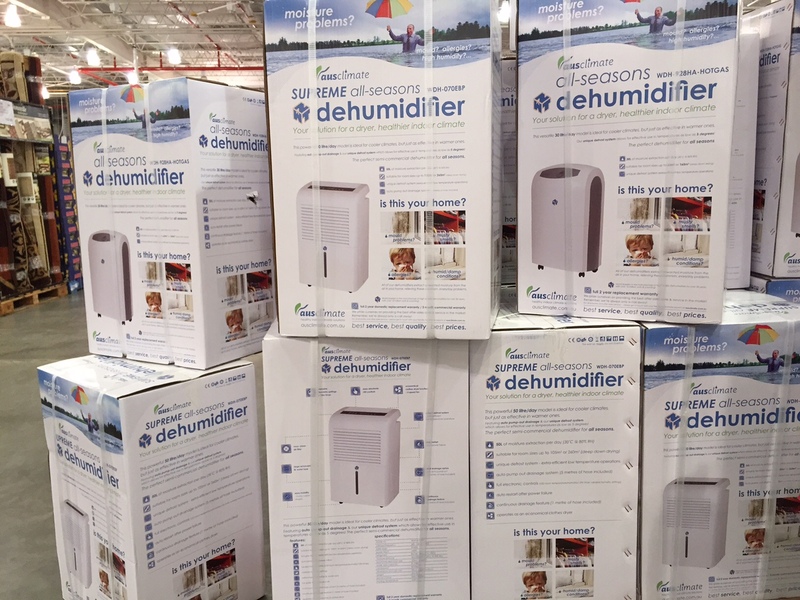 Our latest additions, the NWT All-Seasons and NWT Supreme All-Seasons dehumidifiers have been designed to combat moisture problems in Australia’s forever changing climate. What sets them apart from the others is their unique defrost system which allows them to function more effectively at low indoor temperatures but just as important; they are still a powerhouse at moisture removal in Australia’s warmer wet, humid seasons that we all know – especially in areas like Sydney, the Central Coast and all the way north to Queensland’s tropical climate. The NWT All-Seasons dehumidifier is rated at a powerful 30 litres per day and has a very easy to use dial humidistat while the NWT Supreme All-Seasons dehumidifier is rated at a whopping 50 litres per day and has an electronic LCD humidistat displaying room temperature and Relative Humidity. The NWT Supreme All-Seasons model also includes other great features like ‘auto restart’ (which is great if you ever experience a power failure or want to use a timer) and an ‘auto pump out’ water drainage system that comes with 5 Metres of hose. If you’d like to know more about these exciting new models then just call one of Ausclimate’s expert team members who can answer all your questions. Oh, and one more very important thing; Ausclimate has launched these two models at fantastic introductory prices! Categories: news | Tags: all seasons dehumidifier, ausclimate dehumidifier, australia, brisbane, costco dehumidifier, dehumidifier melbourne, winter dehumidifier | Permalink.